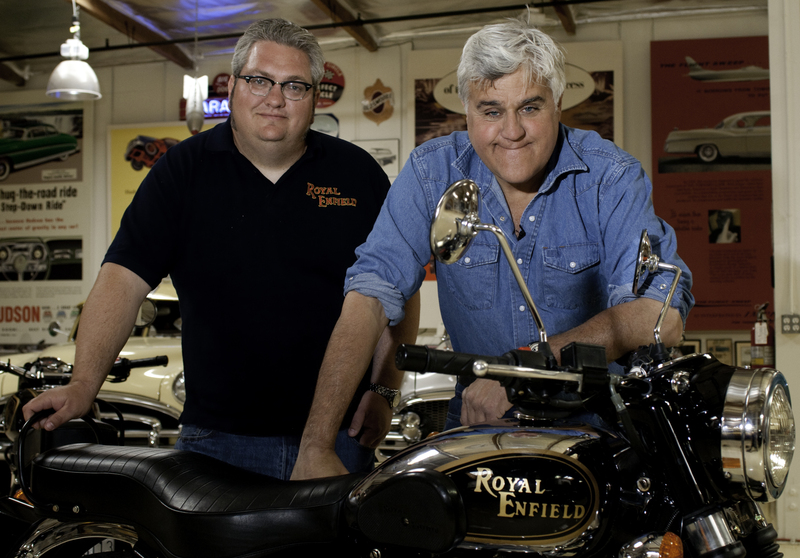 Late night talk show host and renowned classic vehicle collector Jay Leno has added a new motorcycle to his garage: a 2011 Royal Enfield. Leno received a brand new 2011 Royal Enfield motorcycle from Mike Frankovich, owner of a North Hollywood Royal Enfield dealership. 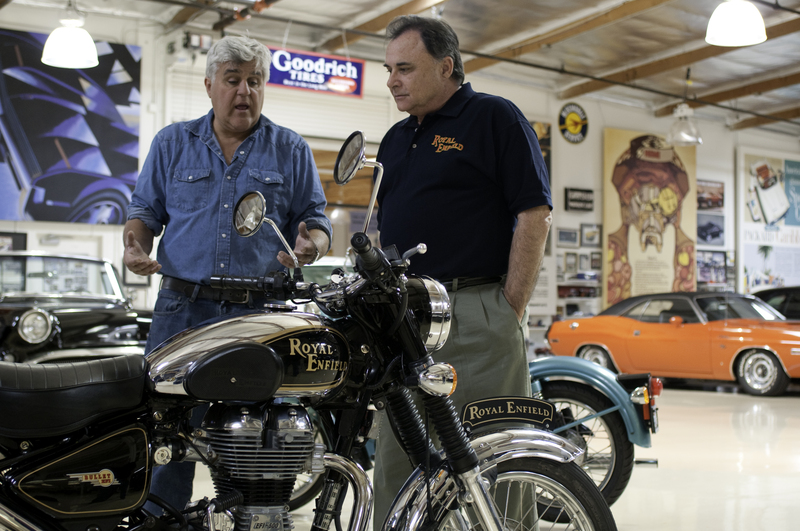 After receiving his Royal Enfield, Leno invited Frankovich and Kevin Mahoney and Ron Greene of Royal Enfield USA, to his Big Dog Garage with several new Royal Enfield Bullets for a segment on Jay Leno’s Garage. 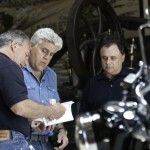 Visit Jay Leno’s Garage to view the segment or check after the jump for more pictures and the official press release. 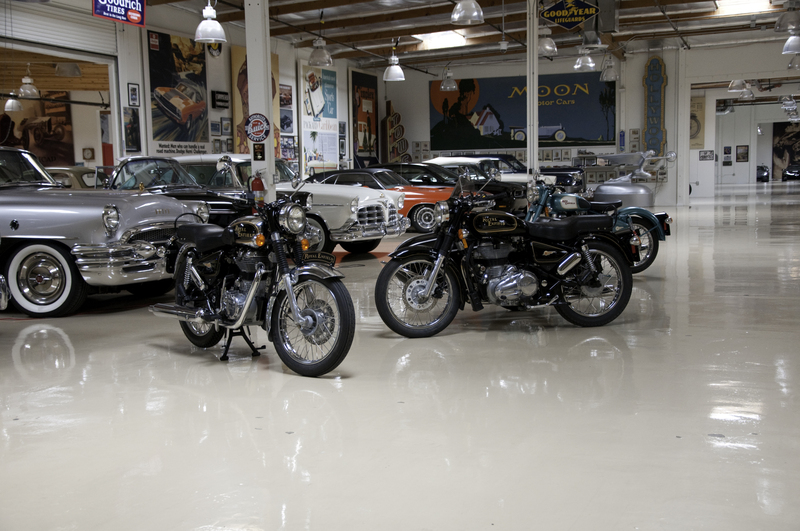 Los Angeles, California – When one of the oldest motorcycle brands in the world returned to California, it didn’t take long for one of California’s most famous automotive enthusiasts to take notice. 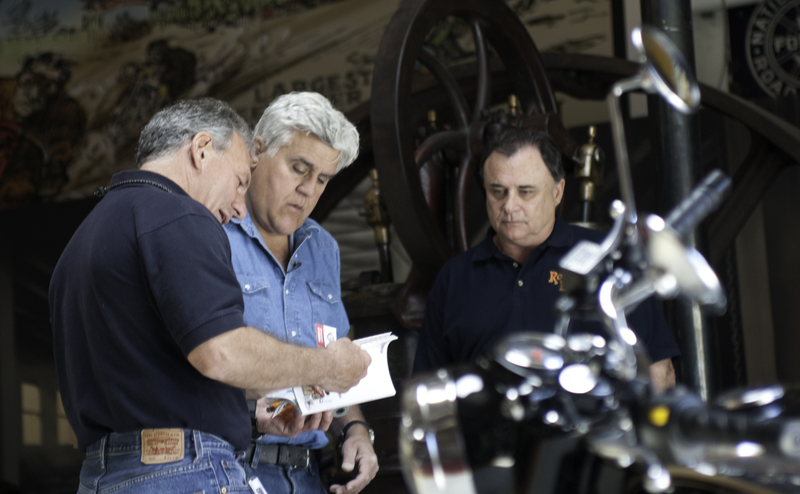 World-famous comedian and host of NBC’s Tonight Show, Jay Leno is equally well-known in automotive circles as an authority on classic vehicles and owner of one of the greatest collections of classic cars and motorcycles in the world. 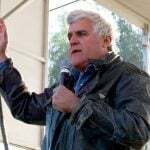 Leno recently took delivery on a 2011 Royal Enfield motorcycle, and today the famed comedian featured the modern Royal Enfield on Jay Leno’s Garage – a website and online video series dedicated to Jay’s impressive collection and automotive interests. 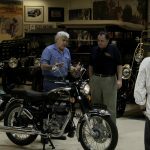 A complete collection of photos and videos related to the Royal Enfield’s arrival at the Big Dog Garage, including Jay Leno’s test ride and review, debut today on the Jay Leno’s Garage website. 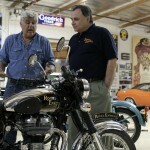 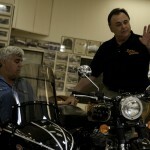 Full episode and image gallery are available online at www.jaylenosgarage.com. 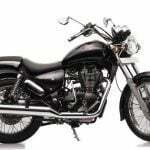 Royal Enfield USA is a division of Classic Motorworks, the exclusive licensed distributor of Royal Enfield motorcycles in the United States. 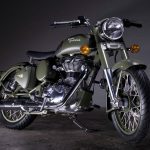 Royal Enfield USA operates in direct affiliation with Royal Enfield Motors, founded in Redditch, England in 1901 and manufactured and headquartered in Chennai, India since 1955. 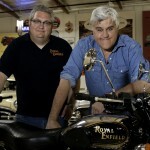 More information is available online at www.royalenfieldusa.com. 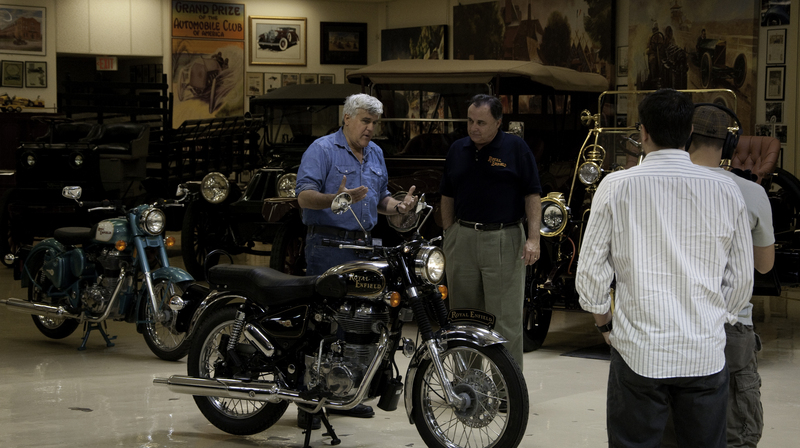 Royal Enfield Los Angeles is a division of NoHo Scooters, a licensed Royal Enfield dealership in North Hollywood, California. 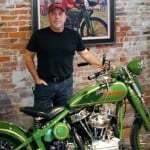 Since 2002, NoHo Scooters has provided the Los Angeles area with a well-informed, experienced, trustworthy, and dependable source for new and used scooters. 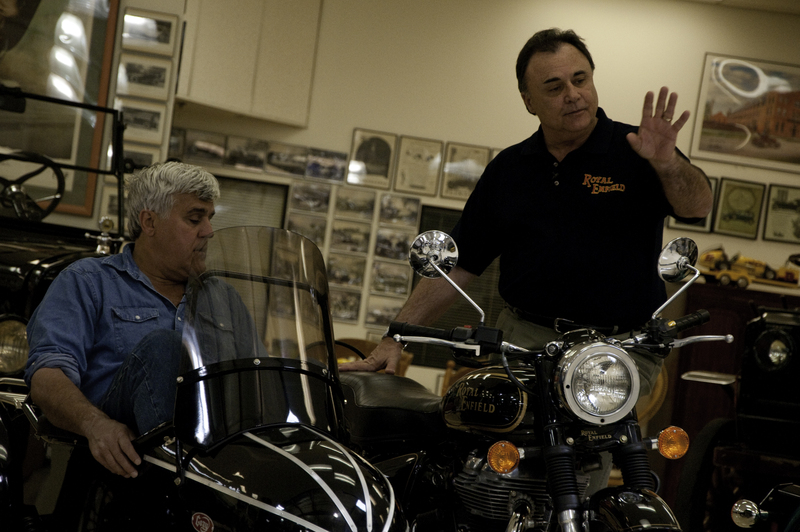 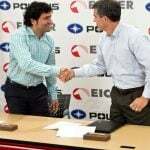 In 2010, NoHo was selected as a premier dealership for the historic brand’s return to the California market. 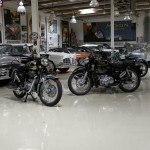 More information is available online at: www.royalenfieldla.com.